creatures, aliens and movie props? Put them on display for all the world to see, of course! MIXON'S MEMORIES MUSEUM is a 4,000 square foot archive collecting some of make-up artist Bart Mixon's and visual effects artist Bret Mixon's most memorable work. 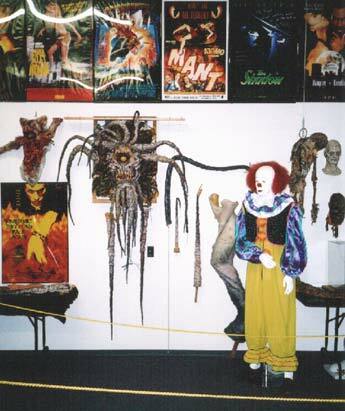 You will see the giant autopsy alien from MEN IN BLACK 2, Pennywise, the clown from STEPHEN KING'S IT, over 60 posters from many of their films, and much, much more. Mixon's Memories Museum is open every Sunday and located at 506 Virginia Street, South Houston, Texas 77587. Please contact Tom Mixon at 713-944-1615 or 713-378-0988 for hours and directions; and DO pay us a visit!